Summary: A teenager teams up with the daughter of young adult horror author R. L. Stine after the writer's imaginary demons are set free on the town of Madison, Delaware. How would that be if you are a writer, grown up as a social recluse, who communicated so well to his own mind that the images of an alternate reality in the mind come alive? Certainly, the idea is not new. Throughout the course of the history of man, such stories of Pygmalion and Galatea kept running across cultures. In India, the first poet, Valmiki, was asked to form Rama’s image in the flow of spontaneous inspiration. Narad, the messenger god, specifically told him not to worry about factual reproduction. “Whatever you create would come to life. Poet! Your imagination makes history possible, and not the other way!”, he said. We have matured since the times of such mythical experiences. Our collective contemporary life is rational. Yet, at odd hours, we miss the mythical. This is the discontent of civilization that Freud described. This is the madness, critically observed by Foucault, that linked to the frustration, and alienation, of the modern civilization. The postmodern outlook, connected to the post-Vietnam, and definitely post-globalization, stages of capitalism, where everything, including love and passion, can be bought for money, attempts at returning to the lost childhood through concocted myths and rituals. That was the secret behind the popularity of the Harry Potter series. That is why Paganism still runs in the undercurrent of the Christian West. That is the reason Sci Fi movies, or the horror, really works. We want a relief in the irrational. A relief from the contemporary, rational, existence. Hallowe'en, just like the Easter and the Christmas, is a seasonal festival - a left-over from our irrational, tribal, days. The dead come to life, on such occasions. So do the mythical creatures. They would do so in the ancient Egypt, or in the ancient Scotland. The tradition was alive, even hundred years ago, for some Nigerian tribes, described by Chinua Achebe in Things Fall Apart. It is sort of home-coming, return to childhood and naivety, for most of us when we dip into the bliss of irrationality. 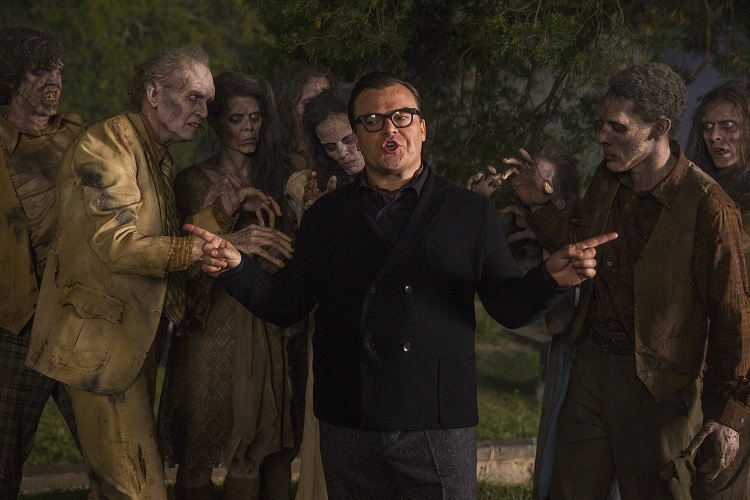 So felt the horror-thriller-genre author R L Stein, AKA Mr Shivers (Jack Black), the creator of Goosebumps, too. In the latest offering from Sony Pictures, the eccentric writer, as a teenager, chose to create his friends from imagination, when he failed to make a single friend in reality. A socially awkward sensitive kid, he helped imaginary monsters – a whole gang of them - spring to life. Two decades later, Zach Cooper, a high school student, moves to the neighborhood and finds Stein’s secrets. What is worse, he lets the monsters loose by mistake. The film actually begins here. You have to move yourself to the theater to find out what happens next. A perfect blend of thriller, incredible creatures and the debate on the boundary between the real and the imaginary, Goosebumps is a good cocktail to be served to the teenagers and young adults, on the Hallowe'en eve. 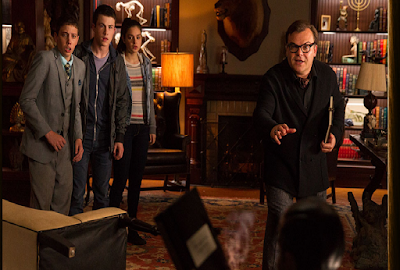 There is a real-life R L Stein who is indeed the author of a successful horror-thriller-adventure series Goosebumps. Some of the titles are Welcome to the Dead House, Stay Out of the Basement, Monster Blood and Say Cheese and Die! His latest offering, The Lost Girl promises to retain his position among the New York Times best selling authors. 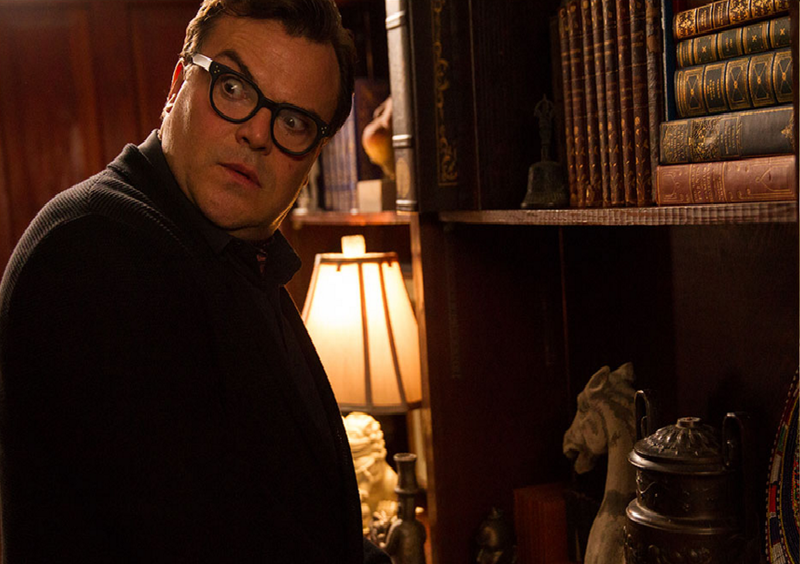 It is interesting to note that the R L Stein shown in the film, played by Jack Black, looks pretentiously similar to the real author. We, however, do not know about the real author's childhood, or the existence of the Smith-Corona typewriter that holds the magical power of reifying imagination! Most monsters from the books, including the talking dummy, have formidable presence in the film. Certainly, that is another provoked nostalgia that all writers love to indulge. Sharadindu Bandyopadhyay, of Byomkesh Bakshi fame, penned three stories where the writer himself is in conversation, or in conflict, with the characters from his past stories. So did Isaac Asimov, in the last decade of his life. Bibhutibhushan Bandyopadhyay, the writer of Apu novels, remarked on this obliteration of the boundary between the documentary reality and imagination, in the afterlife extravaganza Debjaan. In the line of Fruedian, and the Surrealist, trip, connecting the real and the imaginary as alternative faces of the same existence helps us to know ourselves better, and enjoy life more. Hallowe'en is an event for such connections. 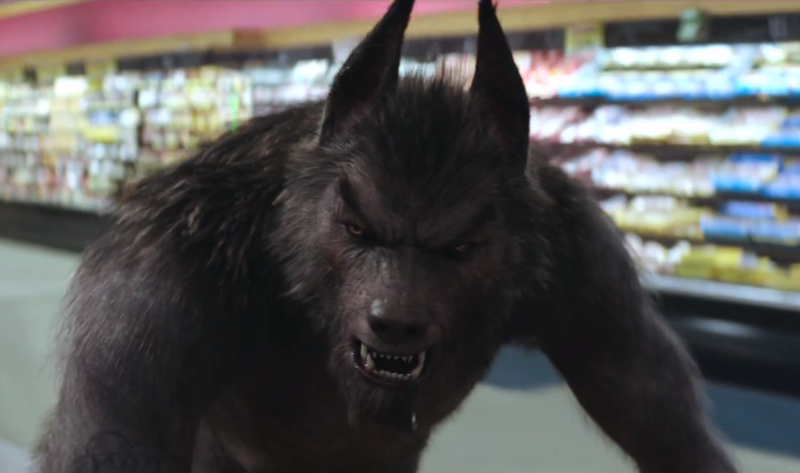 Films like Goosebumps amplify that process. I remember my share of childhood splashes – The Nightmare on the Elm Street series, Jeepers Creepers, Scary Movie, Halloween series, Casper, Monster House, Donnie Darko – ranging from mythicopoetic serial killers, monsters, zombies, spirits and, sometimes, friendly ghosts. 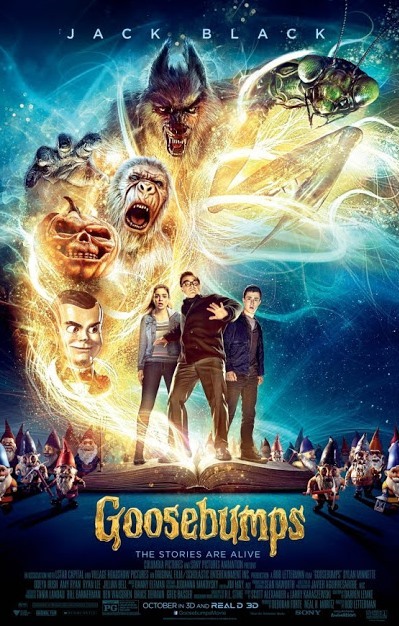 Goosebumps succeeded in bringing me back to those days of undisrupted fun. Although the plot is predictable, the end almost chalked out, the outcome known, this presents a spectacular journey in the realm of the irrational. And cinema is spectacle in the final analysis, just like dreams. Goosebumps is a success there.